Car care is part of auto safety in Midland. But the most important thing we can do to improve safety on Texas roads is to drive safely. Some Midland drivers figure that anything they can attach to their trailer hitch can be towed by their vehicle. Nope. If you're going to do any towing around Midland, you should be aware of safety issues, Texas towing laws and potential liability. Understanding tow ratings is important for safe towing. A tow rating is the weight limit that your vehicle can safely tow. They calculate the tow rating for every vehicle, but different options on the vehicle can affect that rating. Midland drivers need to read the towing section in their owner's manual to get the specific tow rating for the vehicle they own. Another example, one popular pick-up truck has a tow rating of 10,300 pounds (4,600kg). But in the owner's manual, it specifies that a sway control device be used for trailers weighing over 2,000 pounds (900 kg) and that a weight-distributing hitch is required for trailers over 5,000 pounds (2,300 kg). If the vehicle owner tows a 6,000-pound (2700 kg) trailer without a weight-distributing hitch and ends up in an accident, the owner will be held liable for not complying with the towing requirements in Texas. Midland auto owners also need to keep in mind that tow weights include the weight of passengers and cargo inside the tow vehicle. So if your tow rating is 7,000 pounds (3,200 kg), and you're carrying 700 pounds (320 kg) of passengers and cargo, you can only tow a trailer weighing up to 6,300 pounds (2,880 kg). Two numbers that Midland drivers should be aware of are the GVWR and the GCWR. These codes are usually imprinted on the inside of the driver's side door. GVWR stands for gross vehicle weight rating. Take GVWR and subtract the total weight of the vehicle, and you have the maximum weight the vehicle can safely carry in passengers and cargo. GCWR stands for Gross Combined Weight Rating. Take that number, subtract the weight of the tow vehicle and the trailer, and you have the maximum weight of passengers and cargo that the tow vehicle and trailer together can safely carry. This may seem a bit complicated, but you ignore these ratings at your own peril. If you haul or tow loads over the maximum ratings around Texas, you become liable in event of an accident. Local Midland laws require that safety chains be attached when towing a trailer. Some Texas jurisdictions may require trailer brakes as well. Others mandate trailer brakes only in certain situations. If you are going to tow a trailer, you should find out the local Midland laws regarding trailer brakes and hitches, as well as weight and length restrictions. To tow safely, Texas drivers also need the proper tires on the tow vehicle. Tires need to be in good condition with adequate tread, and they need to have a load rating high enough to handle the weight of the trailer. Your trained West Texas Automotive tire professional can help you select the right tire to use when towing around Midland. Safe Texas travel starts with preventive maintenance and good vehicle care at West Texas Automotive. But there are other things Midland residents can do to prepare for emergencies on the road. Here's some auto advice that can help you plan for emergencies, and just may save your life — or someone else's. First, Midland auto owners should consider keeping an auto emergency kit in their vehicle. The kit should contain items that will allow you to deal with common emergencies on the road. But taking care of your vehicle is only part of emergency preparedness. It is to take care of the people in the car, too. For this reason, you should carry a first aid kit, drinkable water and blankets. Other items to consider include high-calorie food items (like energy bars), toilet paper, a towel, a hat and boots. And, of course, when you travel in Texas and out-of-state you should always have your cell phone, some emergency cash and a credit card. Depending on where you live, you may need to add other items to this list. For example, sunscreen, sunglasses and extra water would be good to have on hand in a hot climate. For the cold and snowy Texas season, some salt, a hand shovel, emergency blankets and matches might be in order. Also, if your area is prone to severe weather or earthquakes, you should check with your local Red Cross or disaster preparedness office for their recommendations on what to keep on hand in your vehicle for emergencies. When you travel away from your Midland home, you should check the weather forecasts before you leave and pack appropriate emergency supplies. Also, do some research about the areas you will be traveling through so you can be prepared for the climate and terrain. Remember the basics: heat, water, shelter, light and food. The automotive professionals at West Texas Automotive want Midland drivers to be safe. Preventive maintenance, proper planning, smart communication: these are the basics of safe travel. 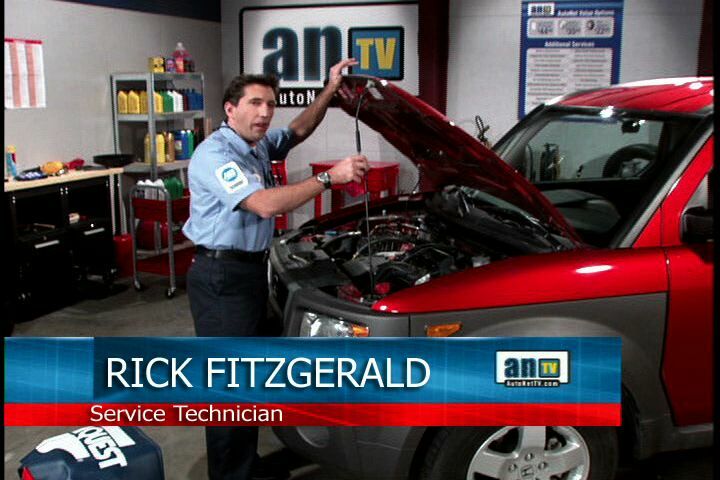 When your vehicle has a problem or just needs some routine service, you might get a little nervous. Your vehicle's so important to your life in Midland, you need to get back on the road as soon as possible – with the problem fixed right the first time. If you've ever checked into some of the technician training West Texas Automotive professionals receive, you may be surprised at how much specialized knowledge and skill goes into diagnosing and repairing a modern car. For example: Today there are four cylinder engines that generate more power than the 1980s-era V-8's. I mean a new V-6 Toyota Camry could beat Sonny Crocket's Ferrari in a race to 60 mph/100 kph. Our engines are more and more powerful and at the same time their fuel economy keeps inching up – even with steep Midland gas prices. They are also amazingly reliable: Kudos to the automotive engineers. But the advances come at the price of simplicity. The modern vehicles driven around Texas are so much more complex from a mechanical standpoint that it makes your head spin – not to mention the electronics. Some vehicles have several networked computers controlling most of the engine functions and many other vehicle operations as well. Midland motorists take all of this sophistication for granted, but somebody has to fix it when it breaks. It's a real challenge for West Texas Automotive in Midland technicians to keep up, but we work hard to stay ahead of the technology. It requires a high level of commitment on the part of the technicians and the Midland service centers as well. West Texas Automotive technicians receive training through a combination of formal classroom training, training provided at West Texas Automotive by parts and equipment manufacturers, online courses and home study courses. In addition to the expensive training, there's the financial commitment for West Texas Automotive to purchase the diagnostic and repair tools. There are many independent certifications held by the pros at West Texas Automotive. The ability to repair your vehicle requires a strong combination of training and resources. No one can know everything, so Midland auto service centers subscribe to data services, technical libraries and even online communities that can help them when they run into a difficult problem. It's like those medical diagnosis shows on TV. Here are the symptoms – what's the diagnosis and treatment? Diagnosis is every bit as much an art as a science. At West Texas Automotive, we want everything to be simple, straightforward and inexpensive – but sometimes it just isn't. The next time you bring us your vehicle, don't worry. You're in good hands at West Texas Automotive.